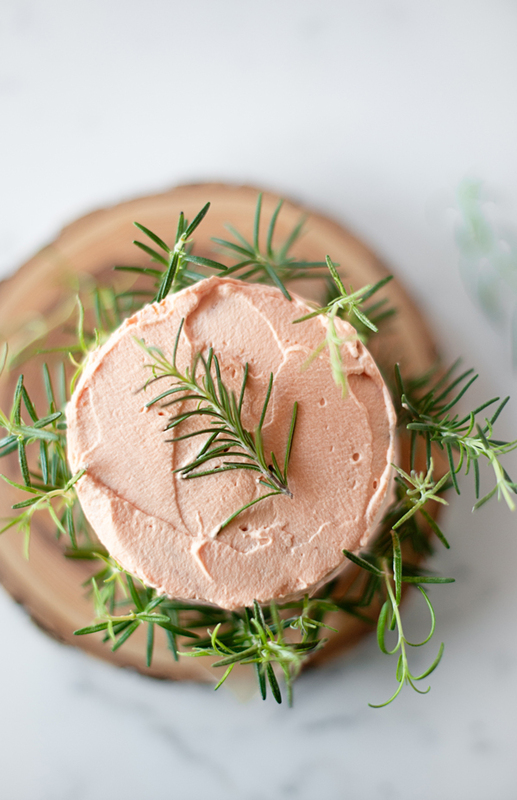 Inside: These Rosemary olive oil cakes are the best Spring brunch birthday cakes recipe. It’s finally warm enough to pot our spring herbs. Last year I fell in love with the taste of herbs and sweets together. 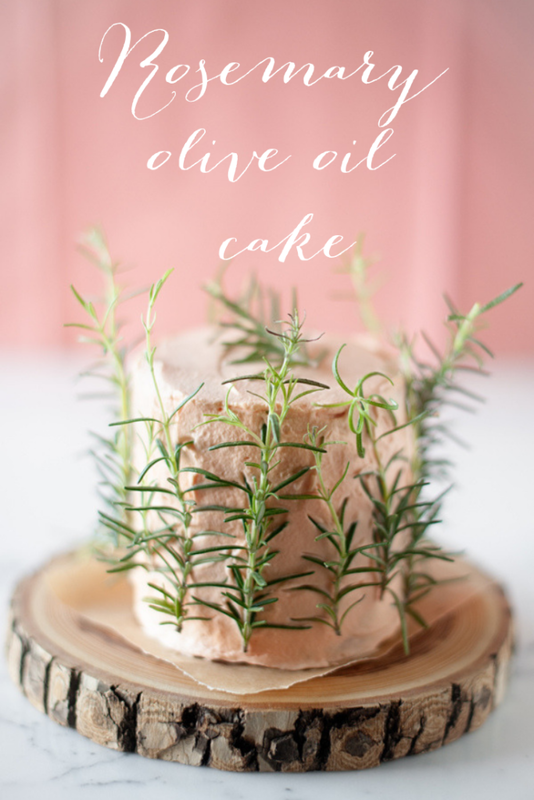 Rosemary ice cream… Thyme cookies… and now I am so excited about this rosemary olive oil cake. They look really pretty and the taste of herbs + sweets is wonderfully fresh for the Spring season. These Spring birthday cakes are great for simple spring birthdays and no-fuss brunches. 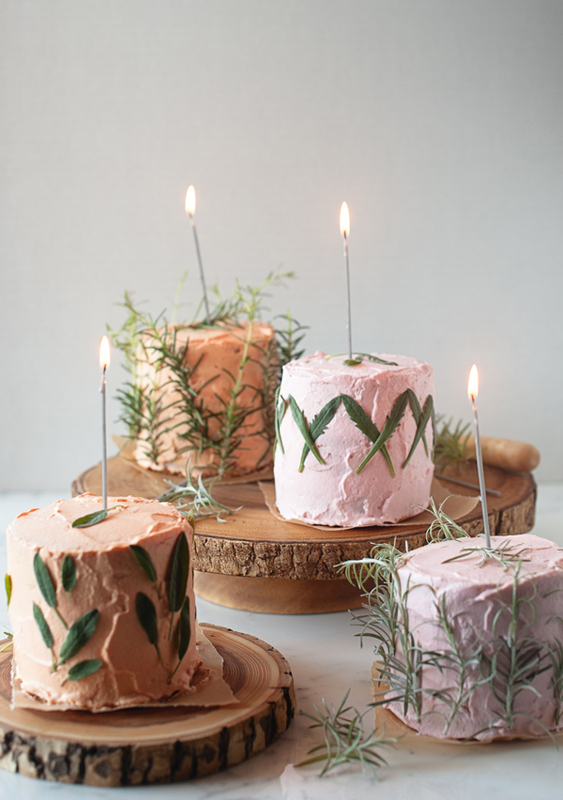 You don’t need to add much, the natural element of freshly picked herbs and a simple candle is all that’s needed to bring the garden party vibe right into a birthday cake. Start by preheating the oven to 350F. Line miniature cake pans with parchment paper cut to fit inside the pan; spray the interior with baking spray. Repeat with other pans if you have them; if not, re-use the pan to bake multiple layers. Alternatively, prepare a rimmed baking sheet: line with parchment paper and lightly spray with baking spray. When the cake is done, cut out the individual mini cakes by using the 6" pan to outline the shape on the cake. Mix the lemon cake batter (or use your favorite cake recipe). Mince about 1/4 cup of your favorite herbs to add to the cake batter, mix in until blended. Pour the batter into prepared cake pans, filling them just under half way down the pan (about 130 grams if you use a scale to measure). Bake for 15 to 17 minutes; test doneness with a toothpick. Remove from oven and let cool for 10 minutes in pan. Remove cake and place on wire rack to cool. Repeat baking step with the remaining batter; you should have enough to make a total of 6 mini cakes. 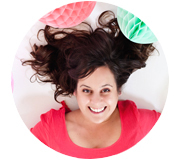 After all the layers have cooled, remove any domes on cakes with a knife to make the top level and flat. Frost this spring birthday cakes. Put the bottom cake layer on parchment or board, and frost. Place the second layer on top, frost. Place top layer, frost top and sides of the entire cake. This is your crumb coat. Place cake in the fridge to chill for 15 minutes. Remove and apply the final layer of frosting. place the heavy cream, sugar, and vanilla in the bowl of a stand mixer fitted with the balloon whisk. Turn to medium high and whip the cream until soft peaks form, about 10 minutes. Mix the whip cream frosting until it is stiff enough to spread. To create pink colored frosting, add 2-3 drops of red food coloring to about 2 cups of whipped cream. Mix well with a spoon until color is uniform throughout. To create peach colored frosting, add 6 drops of red and 8 drops of yellow food coloring to about 2 cups of whipped cream. Mix well with a spoon until color is uniform throughout. 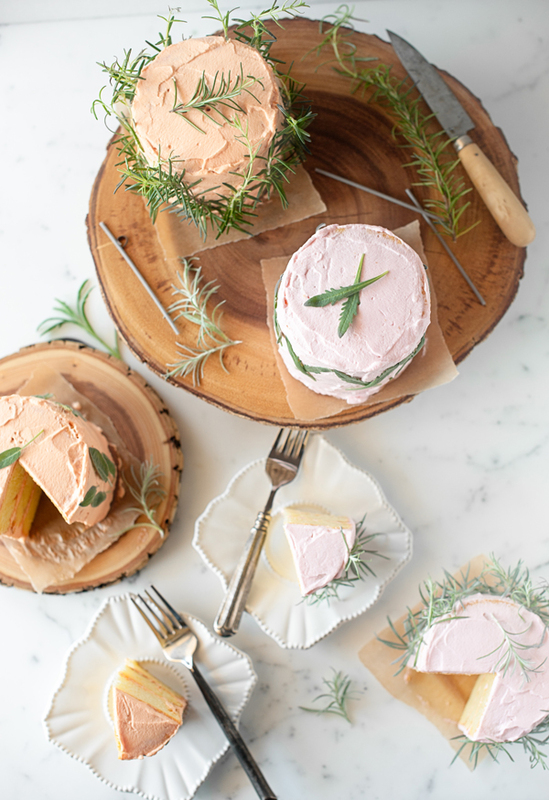 Decorate the miniature Spring birthday cakes with herbs. Be creative, using individual leaves to make patterns, or whole sprigs to loosely cover the outside of the cake. 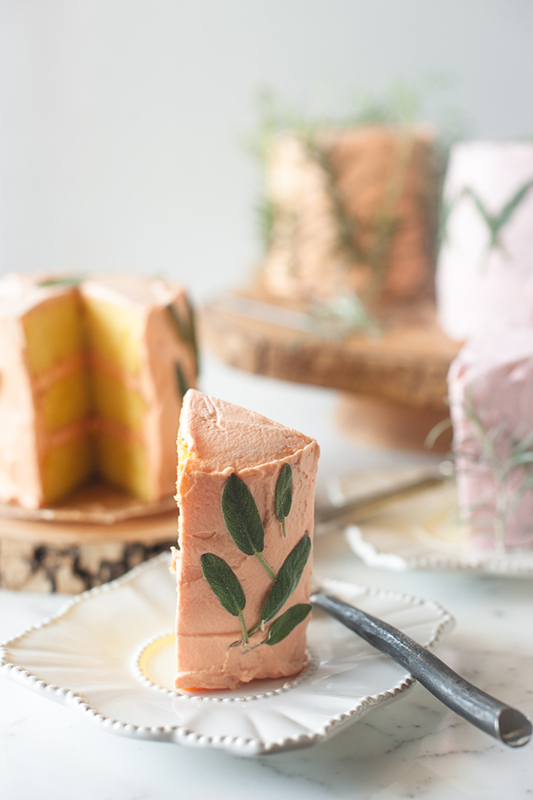 Gently press herbs like sprigs of rosemary into the side of the cake to adhere to frosting. For more fun spring treats check out these Lemon Poppy Seed Cookies, and these berry popsicles! (Photography © A Subtle Revelry by Athena Plichta). Aawh! This looks so cute and delicious ofcourse. These are adorable and such a great idea! Love infusing herbs into my baking! So cute! I have a client who likes these beautiful herb infused cake and i would love to do it as requested. I am just wondering about the flavors of the cakes, can i make vanilla, lemon cake and orange cake? and for the frosting can it be butter cream frosting? for the colors peach is one of my choice and lilac,light pink. Now how to mix to get the lilac color? I’m very glad to hear from you soonest. And thank you for these beautiful and lovely cakes you made. Hi! I’ve been asked to make my brothers wedding cake. (eek! Talk about pressure!) The brides bouquet will be mostly flowering herbs so I’m keen for the cake to be ‘on theme’ with a lavender/rosemary flavour. Where do you get edible lavender? I don’t want to just pick some on the side of the road and poison all the guests! !